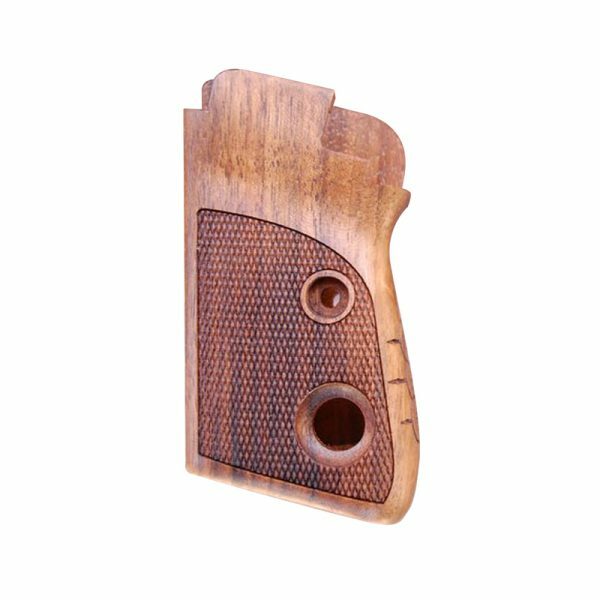 Beretta 70/71 2nd Type Wood Grips (Checkered with Logo) - Vintage Gun Grips - Reproduction Pistol Grips, Buttplates and Grip Caps. These fine wood grips fir Beretta models 70 and 71 with the lever safety on the left side. Made out of french walnut and are not stained. 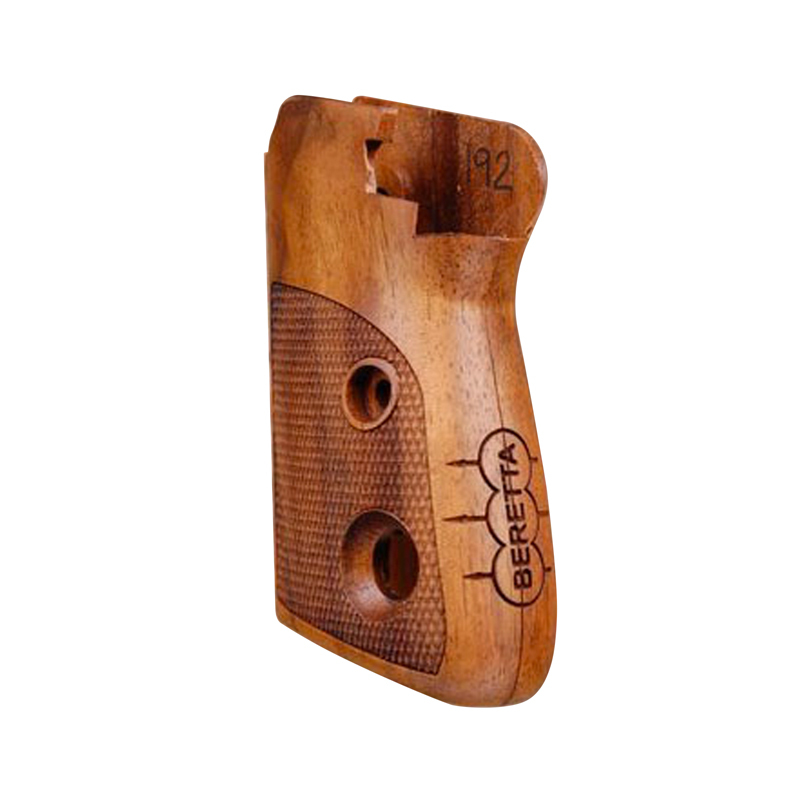 Grips are checkered with Beretta engraved on the backstrap.